Notes: Dave Castle, also known as Fernan-Nuñez Castle (French: Château de Dave, Château Fernan-Nuñez) is a château in the village of Dave, also known as Dave-sur-Meuse, now a part of the city of Namur, Belgium. 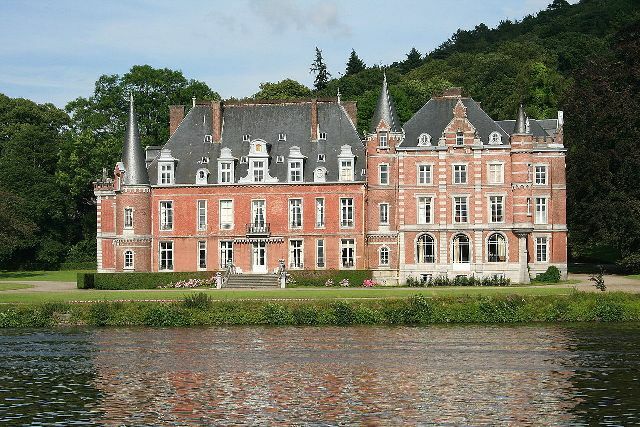 The château stands on the banks of the Meuse. It was originally a medieval structure, the centre of power of the influential sieurs de Dave, but was ruined in the 17th century, and re-constructed in the 18th and 19th centuries by the Dukes of Fernan-Nuñez, whence the alternative name.